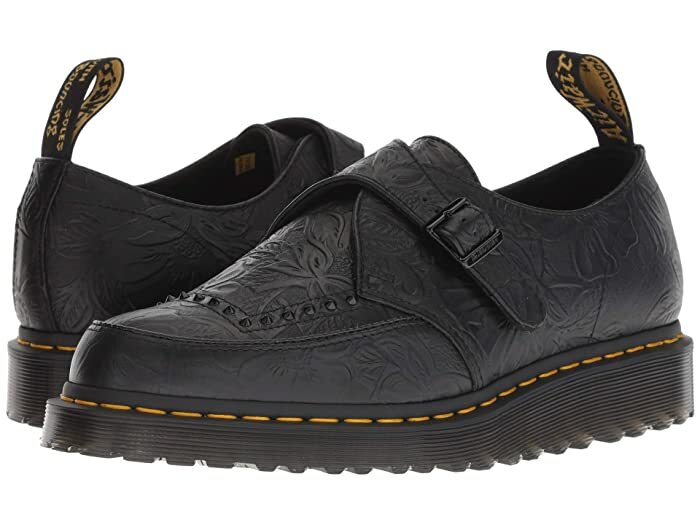 Add a modern, rock-and-roll edge to your look with the Dr. Martens® Ramsey II shoe. 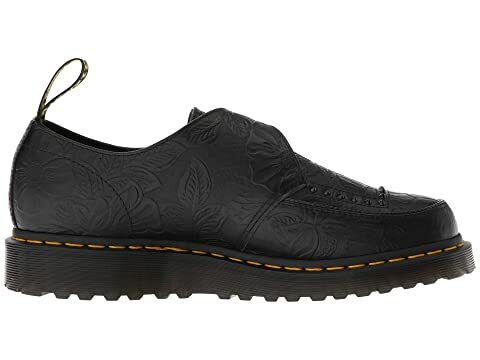 Smooth leather with a floral embossment and tonal stud accents. 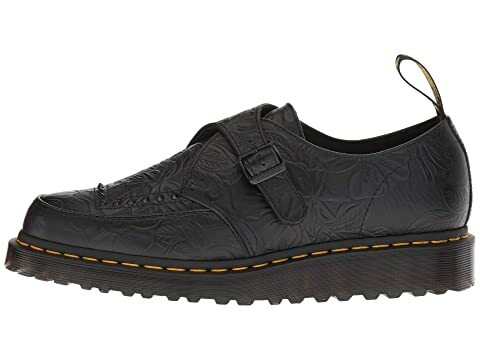 Embossed leather strap with an adjustable metal buckle fastening. 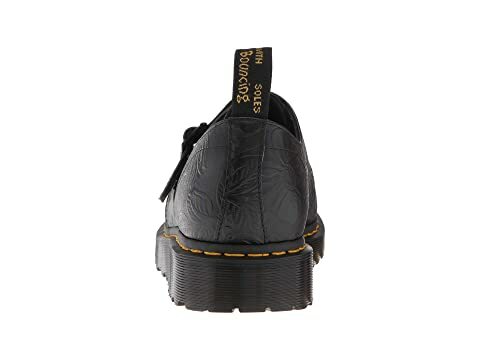 Features classic Dr. Martens DNA, like grooved, air-cushioned soles, yellow stitching, and a scripted heel-loop. 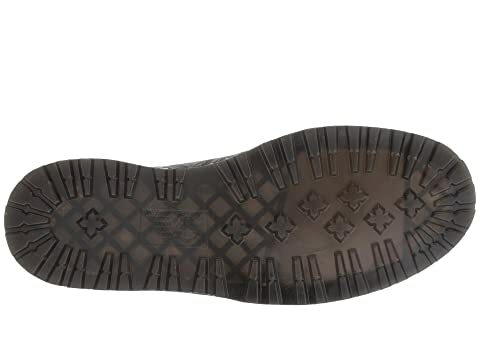 Goodyear® welt for a secure yet flexible construction. 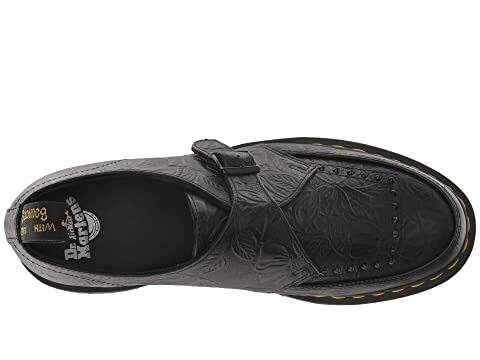 Classic Airwair™ air-cushioned outsole offers good abrasion and slip resistance.